A team of investigators at Beth Israel Deaconess Medical Center (BIDMC) recently published data that identified and validated an accurate 5-gene classifier for discriminating early pancreatic cancer from nonmalignant tissue—a finding that is a promising advance for the fourth leading cause of cancer death in the United States. Using an array of publicly available gene-expression datasets for pancreatic cancer, the BIDMC researchers developed a strategy to reanalyze these datasets, applying rigorous statistical criteria for comparison of the varying data strings. 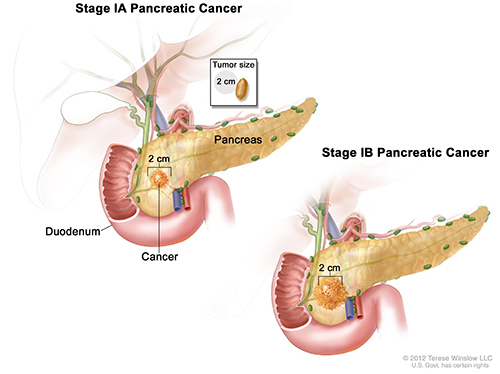 The team then selected a subset of data for developing a panel for differentiating between pancreatic cancer and healthy pancreas tissue and thereafter applied this “Pancreatic Cancer Predictor” to the remaining datasets for independent validation to confirm the accuracy of the markers. Once the markers were independently validated, the researchers applied the predictor to datasets that also included benign lesions of the pancreas, including pancreatitis and early-stage cancer. The predictor accurately differentiated pancreatic cancer, benign pancreatic lesions, early-stage pancreatic cancer, and healthy tissue. Additionally, the predictor achieved on average 95% sensitivity and 89% specificity in discriminating pancreatic cancer from nontumor samples in four training sets and similar performance (94% sensitivity, 90% specificity) in five independent validation datasets. “Using innovative data normalization and gene selection approaches, we combined the statistical power of multiple genomic studies and masked their variability and batch effects to identify robust early diagnostic biomarkers of pancreatic cancer,” noted lead author Manoj Bhasin, Ph.D., co-director of BIDMC's Genomics, Proteomics, Bioinformatics, and Systems Biology Center and assistant professor of medicine at HMS. In addition to providing a new tool for diagnoses, the research may also result in new insights into how pancreatic cancer arises. “Because these five genes are 'turned on' so early in the development of pancreatic cancer, they may play roles as drivers of this disease and may be exciting targets for therapies,” stated Dr. Libermann. Many of the five genes the team identified—named TMPRSS4, AHNAK2, POSTN, ECT2 and SERPINB5—have been linked to migration, invasion, adhesion, and metastasis of pancreatic or other cancers. The researchers were excited by their findings and plan to evaluate the precise roles of the five genes and to validate the accuracy of their diagnostic assay in a prospective clinical study. “Moving forward, we will explore the potential to convert this tissue-based diagnostic into a noninvasive blood or urine test,” Dr. Libermann said.